Come one, come all for the Maryland/DC area Food Festival! We celebrate our community’s 10th anniversary and we are excited to share with you our joy and gratefulness for such an incredible decade of blessings and happy moments. For this reason, we intend to organize an unforgettable festival, full of cultural and spiritual events, completed with culinary satisfactions and the opportunity to spend a few hours outdoors in our beautiful garden. We invite you to join us in paying a unique homage to the spirit and traditions of the Romanian people, widely known and appreciated in all corners of the world. And so, during this festival, among the numerous specifically-Romanian products and culinary delights, we will offer: home-made sausages, grill-steaks, pork pastrami, the famous Romanian small skinless sausages called “mititei,” the traditional cabbage rolls with polenta (“mamaliga”), stuffed peppers, a variety of delicious soups, and many more. An assortment of vegetarian dishes will also be available. The dessert sector will attract the public through a variety of home-made cakes, cookies and other sweets prepared with love by our talented volunteer ladies: cakes (“torte”), coffee-cakes, “eclaire,” amandines, “cozonac,” cheese rolls, apple pies, cookies (“fursecuri”), pancakes, and many more. The bar will be well-stocked with a variety of distinct Romanian beer and wine assortments. The festive and cheerful atmosphere will also be sustained by the richness of the Romanian folk music and dances. Local American artists, as well as Romanians from here and from various homeland places, will visit us especially for this event, and will call us to sing together, in one voice, some traditional Romanian melodies, and to join our hands in ancient “hora” and “invartita” dances in the garden of our community. The Romanian spirituality will be present through the opportunity to visit our temporary church, and to share our vision to build here, close to the Capital of the United States, a Romanian orthodox cathedral, resembling the almost 500-year old “Moldovita” monastery church, well known as an object of world (UNESCO) treasure. 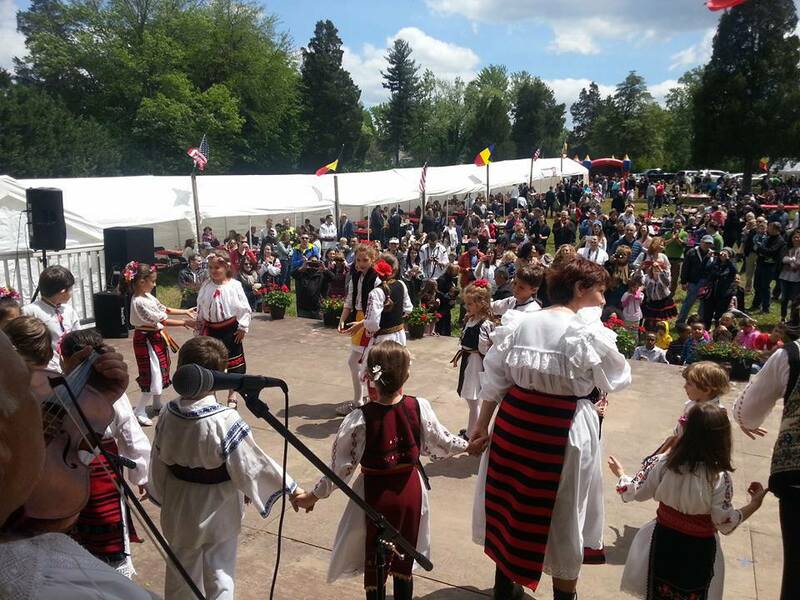 A folkloric exhibition will display various Romanian handicrafts and popular costumes. A specially designed area will offer the children various field games, face painting, a bouncing-house, a petting-zoo garden, and many more activities and surprises.